Looking for greeting cards for friends or family members? Whether you have a special occasion or simply want to say “Hello”, these greeting cards are a great way to keep in touch. 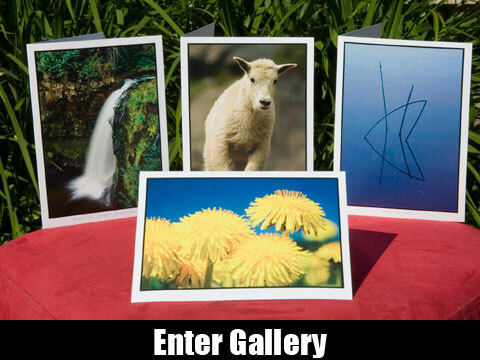 All cards are 5”x7” and are printed on white, glossy, heavy paper stock. They are blank inside and come with a white envelope. Please note that all prices are in Canadian Dollars. GST will be charged on all Canadian orders as well as PST for all orders from British Columbia.